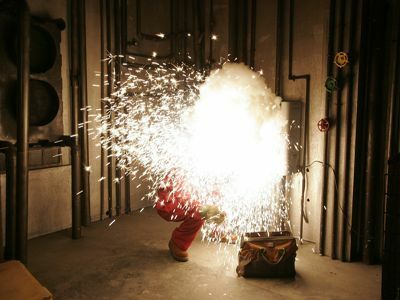 Workers in the electric power industry are potentially exposed to a variety of serious hazards, such as arc flashes (which include arc flash burn and blast hazards), electric shock, falls, and thermal burn hazards that can cause injury and death. This eTool seeks to inform employers of their obligations to develop the appropriate hazard prevention and control methodologies designed to prevent workplace injuries and illnesses. The eTool also serves to empower workers engaged in the generation, transmission and distribution of electric power to understand the steps their employers must implement in order to provide them with a safe and healthful work environment. The full scope of the Electric Power eTool can be found HERE. SIEMENS put together an excellent webinar regarding compliance with OSHA regulations and the NFPA with regard to Arc Flash safety. You can view this webinar On-Demand (i.e. there is not a set time to view the webinar).